Those who know me a bit also know that I am preparing for a PhD in architecture. I want to write a thesis on the relationship between space and narrative in video games (especially in 3D level design) and I found that doing this at a architecture department would be the better way. As you can imagine, my desk is full with books on architecture and I love to spend my time to read through these sources. It’s especially exciting to find out about the lifes, goals and philosophies of various architects. And as I read through their lives I wonder sometimes: What would have a mod or level designed by Le Corbusier, Lloyd Wright or Ventura looked like? How would they have approached their task? Form and Order? Modularity? Texture and Lighting? Functionality? Flow and Circulation? How would it have been to have these guys on your development team? I lean back for a moment and try to imagine: A Grand Theft Auto city designed by Frank Lloyd Wright. A Need for Speed environment crafted by Robert Ventura. A Modulor system by Le Corbusier for First-Person and Third-Person Shooters. It’s so intriguing, isn’t it? Maybe there is a contest out there? Such as “How would a Counter-Strike level by Le Corbuiser have looked like? I wish the game industry would care more about such things. Just as I tried to overcome my sadness because of my friends heading back home to Turkey, I remembered that it is Sunday and that I have to submit a new game idea. Maybe writing a game concept will cheer me up a bit! Voila, her comes game idea # 2. In Saviors! you control a rescue group whose aim is to provide human aid in distaster zones world wide. Your goal is to save the lives of as many people as possible in places hit by disasters such as tsunamis, earthquakes, hurricanes, avalanches or volcanic eruptions. 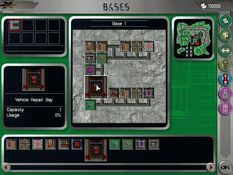 The game has two levels of control: On the global level we see a world map which indicates regions that need help or are endangered by approaching disasters such as hurricanes or active vulcanos. Here we build new offices, purchase vehicles and technology, hire and train humans or animals, do research and cooperate with governments or NGO’s like the Red Cross. On the other hand, when we go on a rescue mission (the local level), we find ourselves in a neighborhood or zone hit by a disaster and we have only a few minutes to find those who still might be alive. By using our technology at hand, by deplying the right people and animals to the right place, and by gathering valuable information through interaction with witnesses, we try to locate as many of the missed people as possible and do our best to get them out there alive. Our success will also depend on the relations we have with the government and the NGO’s (like having more skilled translators or better first aid for the rescued). Saviors! combines puzzle solving with tactical skills and stragetic planning. It sends you into missions that can both tear your heart apart and make you the happiest person on earth. You will discover that nothing is more satisfying and important than saving the lives of people and giving them a second chance. You will often have to mourn for those for whom all help came to late. But as you get experienced, you will achieve great things and win the heart of both, the governments, and more important, the public, which will not forget your heroic efforts. As you might remember, in one of my first posts on this blog I wrote about Patrick Curry’s project 52 Game Ideas. After some consideration I decided to start with my own series. I’m not sure if I can make it as far as Patrick Curry, but I’ll do my best to have posted 52 ideas within a year. Enough said! Here is Game Idea #1. Theme Bar: Indie Scene is an entertaining theme bar design and construction game. You play as the owner of a brand new theme bar and do your best to keep your customers happy and entertained. The game camera provides an isometric view of the game bar interior. The interface provides a construction and design tool kit that allows for modification of the spatial layout and the placement of various interior design elements such as wallpapers, chairs, plants etc. 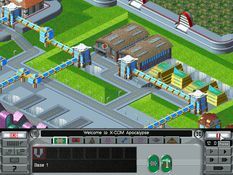 Depending on the income and the neighborhood that the theme bar is located at, the player will be able to expand her space both horizontally and vertically. A core feature of Theme Bar: Indie Scene will be the ability to create a group of indie musicians or DJs that will perform live stage performances. The player will use an artist creator to create his indie band or DJ. Later she will be able to match her indie bands or DJs with her favorite mp3 playlists. Running the bar that you always dreamt of is a very exciting and fun idea. And with the ability to create the ideal music and performers for your dream place, it’s a sure thing that you will feel cool and bossy. It will be very rewarding for you to see your customers, dance, drink and scream of joy in an environment designed by you! As I surfed through the web I tossed at this: Patrick Curry’s 52 Game Ideas. In a challenge he issued himself, Patrick Curry, lead designer of Stubbs the Zombie *, published a new game idea every week during the year 2006 . And he kept his promise: At the end of the year, no less than 52 game ideas were posted. But as you will see, Curry did not only match the expectations in terms of quantity, but also in quality. Lots of creative and fun stuff up there. I admire Curry’s discipline and the enthusiasm he had for his own idea. I could not help myself saying “me too!” and I want to do something similar for the coming year. After all there is a great example to follow. But to be honest, I’ll be happy enough if I can meet the expected quantity, because on the imaginative side it will be impossible to match Curry’s creativity. In 2000 I found a Collectors Edition CD-set with the whole series, and I jumped on it of course. But while moving to Cyprus in 2001, the worst thing happened and I lost no other CD than that with X-Com Apocalypse on it! It really broke my heart. Whenever I looked at the box I remembered that my favorite game was lost. I tried to find the game in Cyprus, but I had no luck with that. After many years without my favorite X-Com game, I finally found it again. I couldn’t wait installation to finish and once the game ran, the rest felt to me like meeting old friends… Within seconds, ‘we’ discovered all the things we used to do. It felt amazing. Megaprimus, The Government, The Cult of Sirius… It was like being back in my old neighborhood, and I was so happy with that, I could have hugged an Andropod!